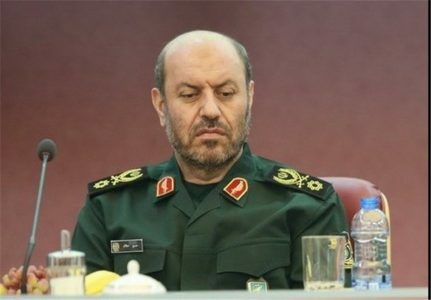 Iranian Defense Minister Brigadier General Hossein Dehqan confirmed reports that Iran successfully conducted a ‘ballistic’ missile test, Tasnim News Agency reported Feb. 2. The defense minister said that the missile test was successful and does not violate the Joint Comprehensive Plan of Action (JCPOA) and the UNSC Resolution 2231. However, U.S. officials criticized the missile test and claimed that Iran has violated JCPOA and the Resolution 2231. They also claimed that the test-fired Iranian ballistic missile exploded after traveling 630 miles (1,013 kilometers). Dehqan did not say anything about the missile explosion. The Iranian defense minister, however, said that Iran will not allow the others to interfere in its defense affairs. Meanwhile, 220 Iranian MPs recently issued a statement to voice their “full-fledged support” for the country’s Armed Forces. In a prepared statement, they said that “reinforcement of the defense capabilities of the Islamic Republic of Iran in line with deterrence strategy” is essential to ensure the country’s security. However, Iran says that none of its missiles have been designed to carry nuclear warheads. It maintains that nuclear weapons have no place in the Islamic Republic’s defense doctrine. “Recent Iranian actions, including a provocative ballistic missile launch and an attack against a Saudi naval vessel conducted by Iran-supported Houthi militants, underscore what should have been clear to the international community all along about Iran’s destabilizing behavior across the Middle East,” the White House said. Houthi forces, which were trained by Iran, recently have struck Emirati and Saudi vessels and threatened U.S. and allied vessels transiting the Red Sea, according to the White House. The White House criticized the Obama Administration for its failure to respond adequately to Iran’s actions including weapons transfers, support for terrorism, and other violations of international norms. “As of today, we are officially putting Iran on notice,” the White House said Feb. 1.